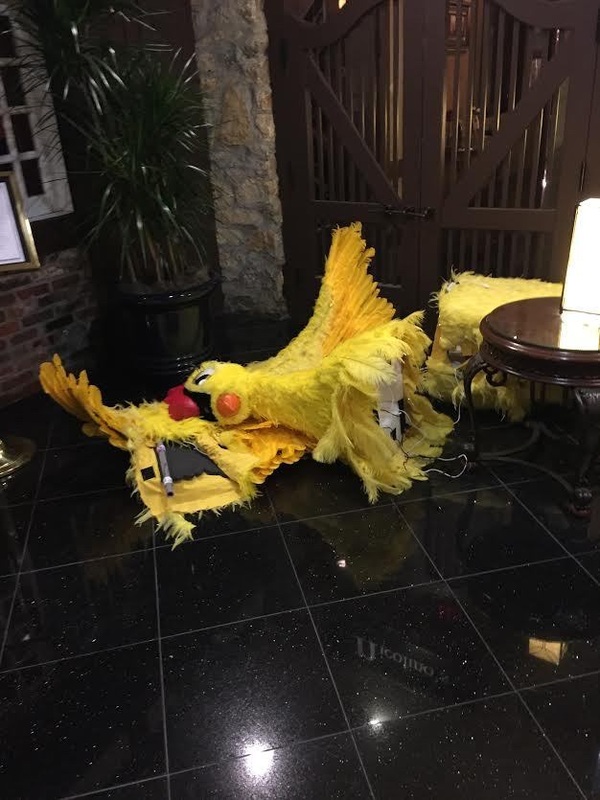 Big Bird Gets the Axe – What's for dinner, Doc? I make no apologies for my word count or for showing my Liberal Female Republican Catholic roots. What’s your label going to say? The true danger in this country lies within our own borders. Fear, ignorance, intolerance, and hate threaten to undermine the very ideals of these United States. Previous Post How to feed a vegetarian dinner guest..
Wow! You hit it the nail on the Trumpet’s head. This is delightful. I usually steer clear of politics but these are dangerous times to bury your head in the sand and to stay neutral. Thanks Alicia. Sometimes sitting on the fence is more dangerous than speaking your mind. Powerful story with an effective message. I agree. Thank you for saying so. Truth is more scary than fiction. Nice satirical comment on current affairs (and one dangerous idiot). Thanks Patrick. I think we have more than one idiot in this race. I don’t have a candidate in either party. Your Fox News must be our Daily Mail, Tracey. A realistic comment on our times. Well done. Thanks Sandra. The hate-mongering knows no borders I guess. I’d like to take my ax to the Trumpet. I don’t know whether to laugh, cry or scream over your story. Too true for comfort. Well done. I keep shaking my head over the absurd crap that comes out of his mouth and people are still listening, which boggles the mind. Loved it. I usually refer to that group as the party of Fear & Hate as they rarely bring anything positive to the table. I like to call them “the party that I used to support”. Is the genre of your story: realistic news? Scary to think that a Trumpet has gotten so far in the political stage and even scarier to think there is a majority who support him. Nothing surprises me in this Non-Presidental campaign. Before this year, I could not have imagined a presidential hopeful suggesting limiting religious freedom in the U.S.
Well done! It certainly catches what seems to be the message those groups are handing out. Thanks for stopping by. Very scary times indeed. Very topical. I’ve heard bits and bobs about this candidate thing in America and Trump sounds like he has some pretty scary ideas. Nicely written! He is unbelievable. I wish it was all a joke. This sounds too close to the truth… Fox and RT is about the same thing isn’t it? If RT thrives on xenophobia and fear based politics then probably so. The contorted red face and ridiculous topknot is *perfect* — although this would be a lot funnier if it weren’t so terrifyingly close to the truth! Fiction has never more scary, Tracey. Truly. You nailed it! I’m glad to see someone from the right being sensible. Thank you. Oh, I misunderstood! Got it! I, too, grew up Catholic. 🙂 Not a skier! I wish I knew how. Are you? How’s the snow, Nevada Girl?! I deliberately mislead my readers because labels are meaningless. I love the snow in the mountains but not so much on the ground in Reno. Happy Holidays Amy. Very funny and clever metaphor. You speak the truth,doctor! Thanks Perry. That’s high praise from a great comedic writer. Right? Thanks for stopping by to say Hi. I’m pretty sure women are under attack in this country too! We need to stand up for ourselves, sista. Thanks Dawn. Wonderfully pointed. Your allusion may be to your local issues, but the sentiments apply worldwide. Fantastic satire. I think you may be right Patricia. Hate begets hate. It’s a very scary cycle.